The Visayan deer is only found on the islands of Panay and Negros in the Philippines. It is a small deer and not much larger than some dogs. Adults only grow about 2.5 feet tall and weigh only 104 lbs on average. Females are significantly smaller than males. 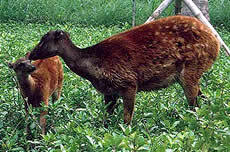 The coat of the Visayan deer is dark-brown, and its underparts are lighter in color. Both adults and young deer have spots on their backs and flanks. The ears are short and only the males have antlers. The Visayan deer is found in forests where there is an abundance of young plants and grass and that has undergone natural disturbances such as fires or landslides. The fires and landslides allow for tender plants and young shoots of cogon grass (which the deer feed on) to grow close to the ground. They also enjoy licking the ashes found on the forest floor after natural fires. Visayan deer are social and prefer to feed at night. They are generally found in small groups of eight or less. Males compete with one another and produce a roar-like vocalization when they are ready to mate. 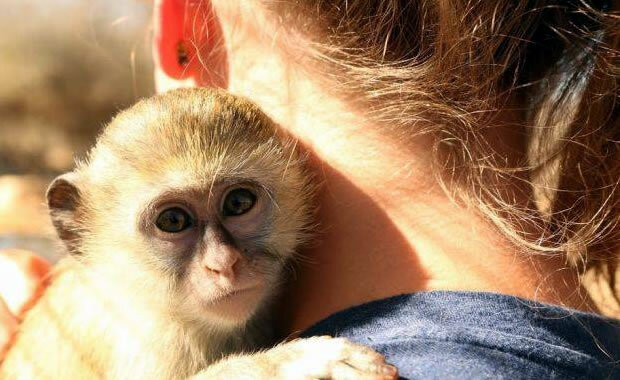 Breeding may occur from November to December, and the female gives birth to one or two young after a gestation period of 240 days. The major threats to the survival of the Visayan deer include loss of habitat due to logging and agricultural development, hybridization with a related species of deer, the Philippine brown deer (Cervus mariannus), and hunting which is more severe in the dry seasons extending from January to June. A captive breeding group was set up in the 1980s near Miagao in southern Panay, but the survival of this species is still uncertain. Copyright Notice: This article is licensed under the GNU Free Documentation License. It uses material from the Wikipedia article "Visayan spotted deer". Glenn, C. R. 2006. "Earth's Endangered Creatures - Visayan Deer Facts" (Online). Accessed 4/21/2019 at http://earthsendangered.com/profile.asp?sp=121&ID=3. Need more Visayan Deer facts?